Buy all the materials and supplies that you need from this project at your nearest Builders store. 1. Mark and measure 20mm from the edges and drill  10mm holes at the corners for the rope to hang your lights. 2. 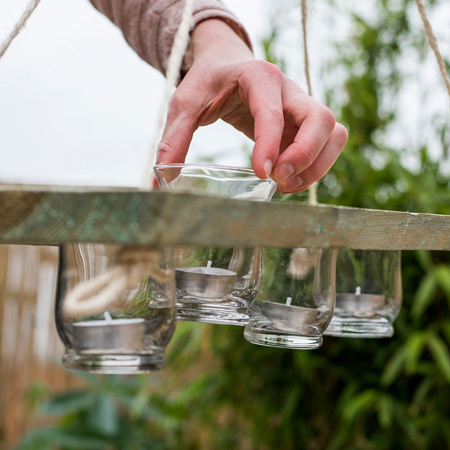 Measure and mark the placement for drilling out the holes for the candle holders, Make sure the holes are equal distance apart, and from the edges. If you don’t do this right your lights could tilt. 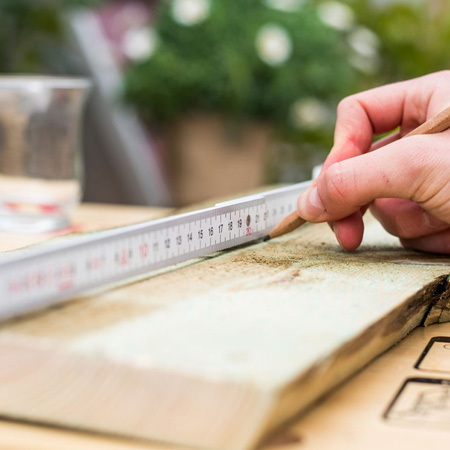 GOOD TO KNOW: It’s easier to divide the plank into sections that will allow you to draw diagonal lines to determine the centre of each section for drilling perfectly centred holes. 3. 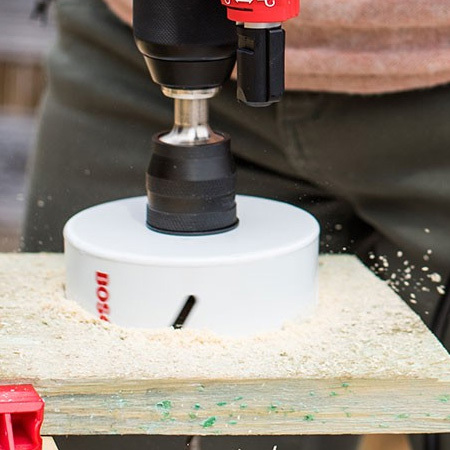 Clamp the wood to your workbench in order to drill holes for the candle holders. 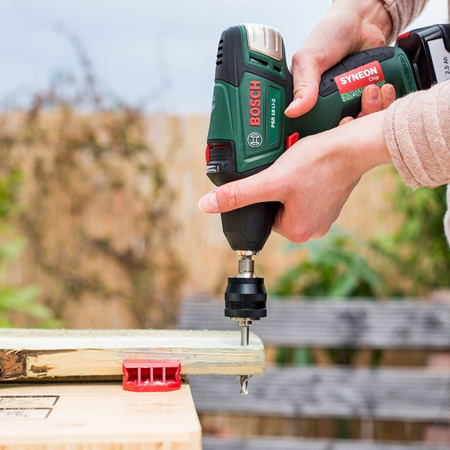 Only drill to three-quarters the depth for each hole and then flip over then continue drilling out the holes. This will ensure you have a neat edge around the cut holes on both sides of the board. Alternatively, place a scrap piece of board underneath the plank. 4. 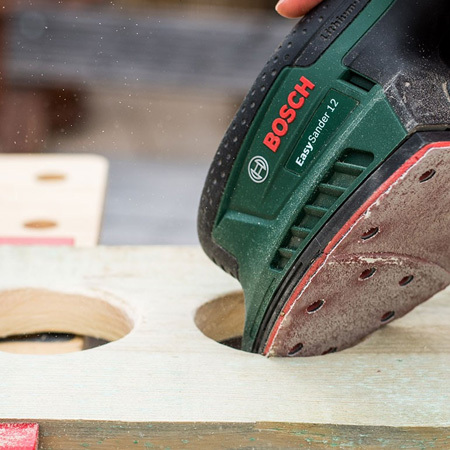 After cutting the holes, use 120-grit sanding pads to sand the edges nice and smooth. 5. Work out the height for hanging the lights and cut lengths of string to thread through the drilled holes at the corners. 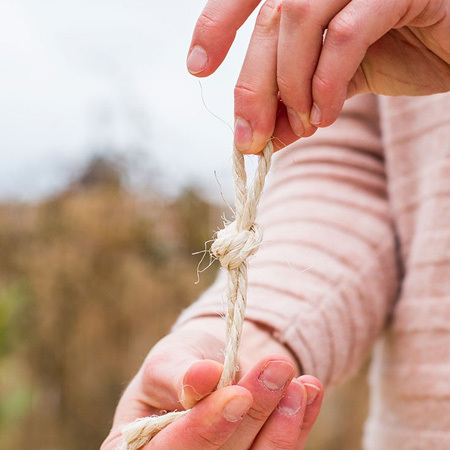 Tie a knot at the end of each length and thread through the holes, bringing all four lengths together at the top where you will hang them up. 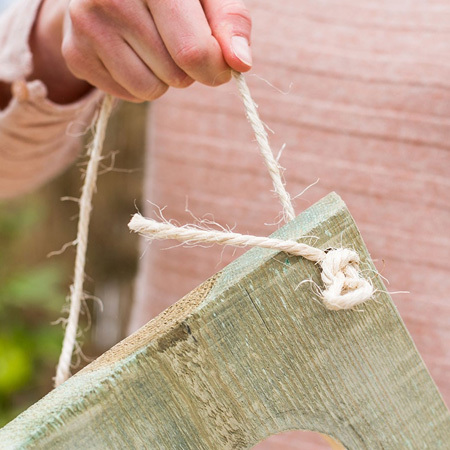 GOOD TO KNOW: Make sure the knots are firmly tied to hold the corners. 6. 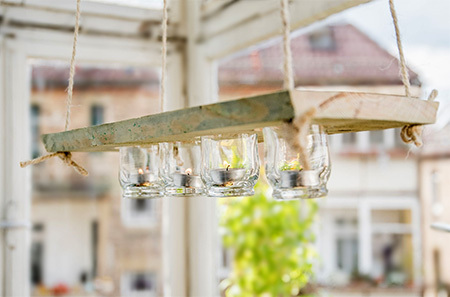 Now you’re ready to add the candle holders, pop in your tealight candles and enjoy the ambience.